The Edit: Lace up? Or... Lace Up? You'd have to literally be living under a rock to not know about the must-have Chloe & Aquazzure dupes that are all over the blogging-verse & Insta-verse. Like the savvy shoppers we are, we want more affordable, yet just as gorgeous versions (unless you've got an bottomless bank account!). 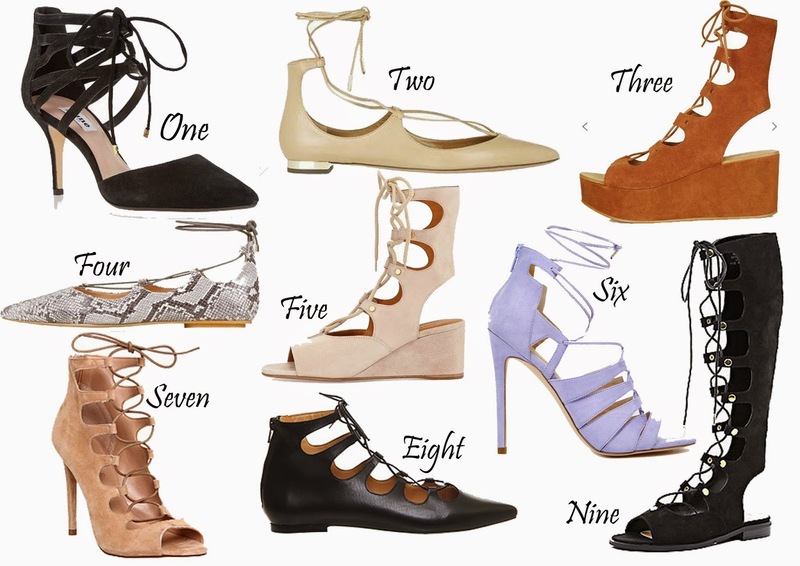 The lace up flats & heels look really delicate and girly whilst the lace adds femininity to a block wedge and fierce looking gladiator sandals. Another thing we love is choice, so well done High Street! But which is your favourite?